Box Dimensions (LxWxH) 16.2 x 11.5 x 3.7"
15.4" MacBook Pro with Touch Bar (Late 2016, Silver) is rated 4.5 out of 5 by 321. Rated 4 out of 5 by Anonymous from So far, so good I haven't really used it all that much yet, but so far I like it. ?I wanted to get the 13" refurb from Apple, but when I bought this one B&H had it on sale for $700 off, so I couldn't pass it up for the price. ?I bought it to use on the road for video editing. ?I'm working on a project with 4 multicam angles, and it works great. ?I did get an external ssd drive to edit off of, and that seems to be good. ?That drive is a Samsung, and came with both a regular usb cable, and a usb-c cable. haven't found the usb-c only ports to be a problem. ?All I had to do was get a usb-c to usb micro cable to be able to hook up my card reader. Rated 4 out of 5 by Brad from Wow. Beautiful. Fast. Well made. I've had a MacBook Air for three years and loved it, so I decided to get the best I could afford with the MacBook Pro. I wasn't disappointed. I would have given 5 stars except for two things: (1) The touch bar. It looks neat but I'm having a hard time finding it useful. Maybe I haven't tried hard enough yet, but it's not very customizable. In Pages I'd like to be able to choose exactly what I want it to show, but can't figure out how, if it's even possible. (2) The Touchpad is huge but using the force touch option is weird for me. Out of the box it was set in away that made dragging and dropping impossible. Had to play around with settings for a while to get it right. Rated 2 out of 5 by John from Unusable on Third Day of Use. Trackpad "click" function became non-responsive on third day of use. Tried external mouse, still no response to either left or right clicks. Cursor arrow movement appears normal throughout the screen but no response to any icon click selections, including the Apple icon. Also, Power switch became locked on the Siri function, without intentional selection. Siri would talk to me but would not execute any verbal request. Unable to Shutdown the machine with any known combinations of keystrokes or Power Switch/Siri. Called Apple Care - long story short - 35 minutes on phone - no joy. Unit now at local authorized Apple repair center. Hope they can correct these malfunctions. Thankful for my Chromebook, still able to surf the internet and get my email. Rated 5 out of 5 by Anonymous from Great deal, even greater computer. First off, what a deal this is. If you live outside of NY, not only are you getting a discount off the retail price, but your saving potentially hundreds on tax as well. I originally bought the base model, but after seeing this deal, I upgraded to the souped up version as it was basically the same price. This computer is a powerhouse and looks absolutely gorgeous. Literally the best looking computer I've ever seen. Yes the ports can be a bit of a pain, but it's much better to be future proofed than have a bunch of ports that will be useless in 2-3 years. There is no reason why this beast shouldn't last you 4-5 years easy. Rated 2 out of 5 by Crepitus from Inferior to previous Mac Pros in most aspects except ... I've got a small company that develops mobile and web applications. I am on my computer 12 hours a day working and programming. In my opinion the most important part of the computer are the display and the ergonomics. Cons: The touch bar is a useless gimmick that inhibits productivity. The larger trackpad is ok, but almost too large. The keyboard with larger keys is sort of better, but the arrow keys are terrible now and the typing clicks noise is unreasonably loud. Pros: slightly noticeably longer battery life and the display clearly better and brighter. The default native resolution is actually higher, and so I had to adjust it. Also OS Sierra seems buggy. I try to disable the caps lock and every time my computer sleeps it reenables it. Frustrating. Rated 5 out of 5 by Jacquelyn from Great Display Just received this laptop a few weeks ago, and wow is it amazing! I’m a photographer so it’s brilliant for photo editing. The resolution, Retina display and color correctness are absolutely fabulous. Very sleek and thin. Has a great exterior look (I purchased the space gray). A lot of people are worried about the strict use of the C-Port, but I bought an adapter from Statechi and it works wonders. I have no issues with it. I do wish the battery would last a little longer with the price, but I do spend most of my time in Lightroom and Photoshop which are battery drainers, so it makes sense. Overall, this is a great laptop for the work I’m doing! Rated 5 out of 5 by Eric from Great service! Great Price! Great Machine!! After giving my 13" MacBook Pro to my daughter, I purchased this 15" MBP with the touch bar.. B&H came through with an awesome price, and I am always amazed when it shows up on my doorstep the very next day! And no sales tax!! You just can't beat it! ? As for the new MacBook.. Took just a few minutes to get used to the new size and newer OS, but the machine is great! And the new display with the P3 color gamut and better pixels is absolutely stunning! The faster processors are just what I needed to be able to load my RAW picture files from my digital camera and run them through Lightroom and Photoshop. ?I think this MacBook is now just as capable if not more so than my iMac at home! Way to go B&H!!! How is the return policy for this product?How could apple product is sold at this price?Can someone please help.. This item can be returned within 30 days of purchase date for a refund or exchange ONLY if the manufacturers packaging is sealed and unopened. If defective, can be exchanged for the same item onlyRegarding the pricing, we sometimes have sales that result in our price being even lower than Apple's. Why does my MBP say 2016 instead of late 2016 in About this Mac page? Supposedly the one I ordered from BH is late 2016 . I was running Sierra and now High Sierra and both OS'es say my machine is a 2016 version, not late 2016 . Please send us an email at Apple@bhphoto.com with more information so we can best assist you. Please let us know what your order number is so we can look into this. Asked by: Marvin Lee P.
B&amp;H does not directly offer financing. We do accept PayPal Credit, and qualified buyers will be able to select it as a payment method at checkout. 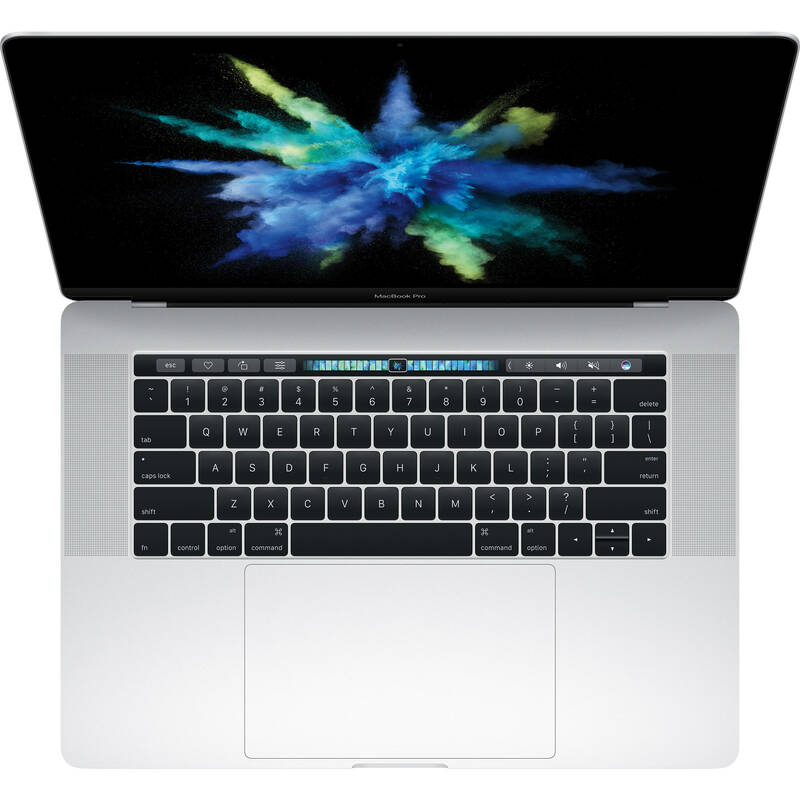 Can I get the new 2016 macbook pro with AMD Radeon Pro 460 GPU 4GB? If you dont purchase Apple care when you buy the computer, can you buy it at a later date? And all Apple products come with a one year warranty correct? AppleCare+ can be purchased within 60 days of your purchase date, directly from Apple. They will run a remote diagnosis on your computer first to ensure that it qualifies, and then they will be able to enroll it.Without AppleCare+, the computer comes with 90 days of telephone support and a 1 year warranty for manufacturer defects. Time to upgrade for me and this seems like good savings. My main uses would be primarily for wvideo editing on the run (FCPX), photo editing (Affinity Photo), web use and document creation. Does this bad boy have enough juice to handle it? My experience with this laptop has largely been positive; but I have not use it with FCPX. I mostly use it for web surfing, programming, Photoshop, Illustrator, word processing, 3D modeling and video viewing.The processor is plenty capable in processing computationally intense tasks; but the problem is the power drain substantially quicker when doing such tasks. So when I just simply using it for web surfing, word processing and other light tasks, the laptop can easily last all day with a single full charge. But if I was to use Photoshop, 3D modeling or other computational intensive tasks more regularly, the battery drain rapidly where I will need to charge the computer at least one or more additional times per day after a full charge. As for Photoshop, if I just simply left the program opened even in the background, it would seem to drain the battery quite a bit and therefore make sure it is closed when not it use.Other than the battery issue, the stereo sound from this laptop is by far the best I have ever heard from any portable computer system. It is absolutely fantastic. The display is also bright and clear and very pleasant for viewing. I liked the Touch Bar for those program that directly supports it. It provides a great flexibility and short cuts for many tasks. I could imagine it would great to use under FCPX; but I do miss the tactile feedback of a mechanical key.The track pad on this laptop is enormous. I generally like large track pad; in fact, that is always been one of my primary reason for using a MacBook over other Windows laptop. But I do have to say that Apple might have went a bit overboard with this one because the trackpad is large that I frequently find myself inadvertently touch the track pad during typing on the keyboard or simply resting my hands. I think they probably should reduce the size of the track pad just a tad bit in this case.Overall, I think the original price of this MacBook is a bit too high; but if you can get it on a discount at a much lower price, it is probably a good deal and makes a great portable laptop. Do you offer financing at 0% apr for macbook pro's? Up to how many months? B&amp;H does not directly offer financing. We do however accept PayPal Credit, and this will be a payment method available at checkout online. Will you have models with a german keyboard. If yes, can you tell a date? did you order one with german keyboard, how long will it take to ship?